Ufficio n. 107, Dipartimento di Fisica e Astronomia "Galileo Galilei", Via Marzolo 8, 35131 Padova I am available every day, but it is better to contact me via e-mail to fix the meeting. 1. Bose-Einstein condensates and BCS-BEC crossover with ultracold atoms and superconductors. 2. Quantum entanglement and quantum optics. 3. Ultracold atoms in optical lattices: Hubbard and Bose-Hubbard models. 4. Solitons and vortices in superfluids. 5. Ginzburg-Landau equation for superconductors. I was born in Padova (14-05-1967). I got the M.Sc. in Physics at the University of Padova (marks 110/110) in 1991 and the Ph.D. in Physics (with honors) at the University of Florence in 1995. 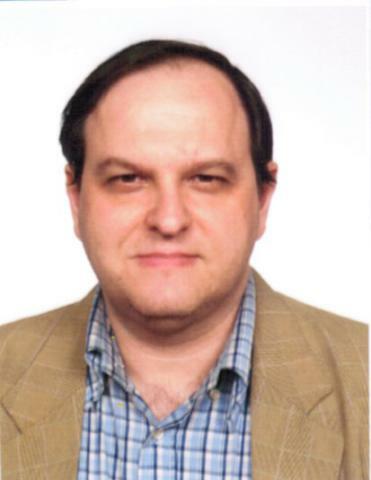 From 2011 I am an Associate Professor of Theoretical Physics of Condensed Matter at the Department of Physics and Astronomy "Galileo Galilei" of the University of Padova. I have the Italian National Scientific Habilitation to Full Professor of Theoretical Physics of Condensed Matter (from 2013 to 2019; from 2017 to 2023). From 2018 to 2020 I am a member of the Editorial Board of "New Journal of Physics". From 2013 to 2016 I am a elected member of the Scientific Committee of Area 2 (Physical Sciences) of the University of Padova. Re-elected from 2017 to 2020. From 2013 to 2017 I am the elected coordinator (president) of the B.Sc. in Optics and Optometrics of the University of Padova. Re-elected from 2017 to 2021. From 2016 to 2017 I am an elected member of the governing board of the School of Science, University of Padova. Extended to 2019. Previously I was postdoctoral fellow of several institutions: Complutense University of Madrid, University of Maribor, University of Padova, National Institute for the Physics of Condensed Matter (INFM), University of Milan. I was also adjunct professor in the following Universities: Padova, Modena and Reggio Emilia, Milan, Ca Foscari of Venice, Free University of Bozen. From 2000 to 2008 I had a permanent position of teacher of mathematics and physics in the high schools (always on leave of absence without pay). From 2003 al 2011 I was a researcher of the National Research Council (CNR). My fields of research are condensed matter theory and statistical physics. In particular I study nonlinear phenomena (chaos, solitons, and vortices) and macroscopic quantum effects (Bose-Einstein condensation, superfluidity and superconductivity) in ultracold atomic gases and other many-body systems. I have written more than 190 scientific papers in peer-reviewed journals. Up to now these papers got more than 3800 citations and my h-index is 34 according to Web of Knowledge (Thomson-Reuters) and it is 34 also according to Scopus (Elsevier). Theoretical Physics of Condensed Matter. a) Superfluidity, Bose-Einstein condensation, quantum entanglement with ultracold atoms in optical potentials. b) Solitons, quantized vortices and shock waves in bosonic and fermionic superfluids. c) Finite-temperature quantum field theory for interacting many-body systems.